Disaster can happen anytime. You could be camping and get lost in the wilderness. Here are some of the fundamental survival tips to help you manage the situation. Choose a place where there’s plenty of sand or rock. The area must also be near water. As much as possible avoid the thickly forested sections. Select good tinder. Grass and dry bark are materials you can use. You should also have waterproof matches. An easy way to do this is by immersing them in nail polish. Put them in a watertight box. If fuel is unavailable, a lighter will be sufficient to get a spark. The wood needs to be dry to produce a long lasting fire. An important survival tip is the ventilation. There must be enough space so the fire can burn properly. It will also dispense of the smoke more easily. Before making your own, look around. There may be some natural ones available. Caves can be a good choice. Light a torch to scare off any animals there. It’s also a good idea to leave a fire burning at the entrance to keep predators at bay. If your shelter is on the shoreline, get some rocks. Shape them to form a U. For the roof you can use seaweed, boughs or driftwood. There are several things you’ll need. Among the basic ones are a compass, lighter and a first aid kit. Trail food (i.e., crumbs) and a pocket knife will also be necessary. A watertight container can be used for cooking or storing water. Other survival tips include carrying a flashlight, mittens, a camp stove and a sleeping bag / tent. Of course you should bring food and some flares in case of emergency. There are other things to contend with. One of them is fear. It’s normal, but as long as you have the right equipment you shouldn’t worry. Another is injury. Always treat any wounds or insect bites with your medicine kit. Cold and fever are among the most common ailments. If it’s cold, take shelter. Don’t forget to drink plenty of water to avoid dehydration. Bathing in lakes and streams will also help rejuvenate your body. The important thing to remember is not to panic. Whenever you go camping, you should always carry the essential utilities. The pocket knifes, flares etc. should be stored in your backpack or belt. There are survival schools and training institutions. You can join them to gain further insights. Other potential problems include the feeling of loneliness and desperation. This can take its toll on the mind. If you are going to go hiking, being prepared for this is essential. Don’t forget to get a good backpack. The containers must also be the best quality you can afford. If they break down, all your tools will be lost. 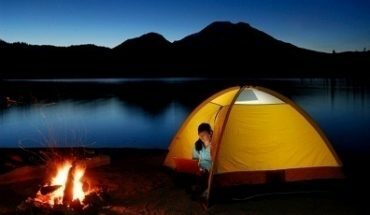 These survival tips are critical to anyone who goes camping or into outdoor adventures. You may never have to rely on them, but it’s important to know how just in case.